learn about the structure of demand more generally? One of the more tractable ways of getting hold of the benefits of economic integration to consumers is the idea that the expanding variety of a good yields gains from trade because consumers value variety (Krugman, 1980). That is, in a monopolistically competitive world, consumers prefer to have some choice over different versions of the same good. I operationalise this idea using a standard assumption in the analysis of international trade: Every country makes things slightly different from those made by other countries (Armington, 1969). That is, suppliers differentiate within the products they produce. Based on the estimated elasticities, I calculate the consumer gains from growing import variety for the ’first globalisation’. The welfare calculations are presented in Table 1. The first finding that demand was more elastic in the first globalisation may imply that there are more welfare gains from changes in variety in the second globalisation. However, from 1907 to 1913, the welfare gain due to growing variety amounts to 0.2 percent of GDP to access the wider set of varieties available in 1913 rather than the set available in 1907. A century later it is only half of that, that is, 0.1 percent. These numbers small at first sight, but because we are looking at estimates of the ’incremental’ gains from import variety (Feenstra, 2010), and only seven-year periods, these numbers are plausible. The results are consistent with previous findings based on similar research designs. I measure these gains by differentiating between how an exactly measured price index would move with and without changes in the variety of a given set of imported goods. This is Feenstra’s (1994) approach, which has been refined, among others, by Broda and Weinstein (2006). To perform such calculations, I need a measure of substitutability of goods between different source countries that indicates how elastic demand is for a given good, and on the aggregate level, how elastic import demand generally is. 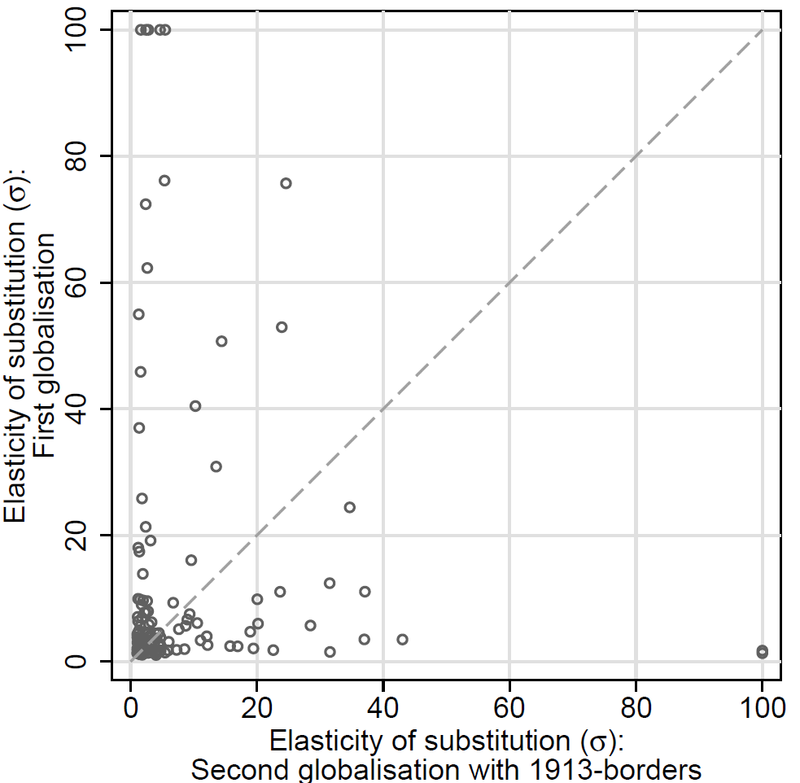 Therefore I estimate elasticities of substitution—a key parameter in many studies of international trade and international macroeconomics—for all goods at various levels of aggregation for both episodes of globalisation, using Soderbery’s (2015) limited information maximum likelihood (LIML) estimator. 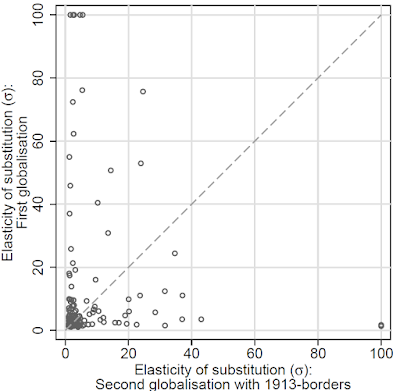 Figure 2 plots the distributions of the estimated elasticities, one for the first globalisation and two for the second globalisation, whereby one is based on countries defined by actual borders and one where I superimpose 1913-borders on the country set of today. 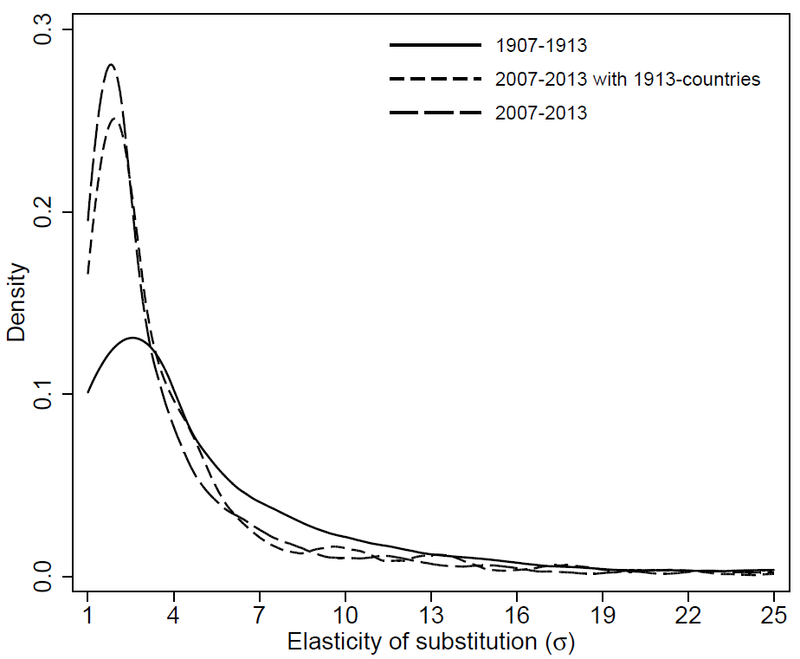 The results show that the elasticity of substitution varies over time, space and product. 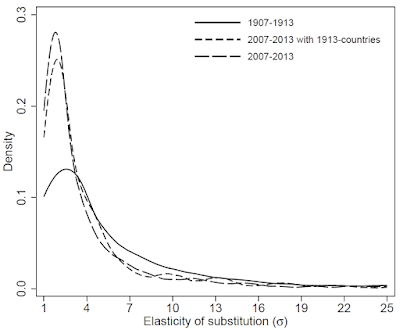 The median elasticity is 3.8 in the first globalisation, but only 2.5 in the second. To put this difference in perspective: In Krugman’s (1980) model, which I use to evaluate welfare, these elasticities translate to median mark-ups of 35 percent in the first globalisation but about 66 percent today on prices generated in a perfectly competitive market. The finding that although demand was more elastic in the first globalisation, welfare gains from import variety were higher than can be explained by the composition of imports. 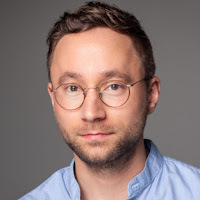 In the first globalisation, variety growth was – in relative terms – stronger than in the second globalisation, at least in the period this article focuses on, as trade-weighted measure of variety growth - so-called lambda-ratios – suggest. That is, despite a much smaller set of goods and their varieties, Germany enjoyed twice as much welfare gains from newly imported varieties than it does today. This result is even more striking when considering that the level of protection ahead of World War I was much higher than it is today. This may reflect the fact that today many ’low hanging fruits’ in terms of variety have been harvested, which resonates with Bordo’s (2017) argument that the world economy’s pace of integration is slowing down or pausing, but not reversing. A comparison between products and industries shows that the structure of demand is not easily approximated by using one single elasticity of substitution. Both the time horizon as well as the set of trade partners matter. Estimation results for good-specific elasticities of substitution suggest that there is substantial heterogeneity in terms of demand elasticity over goods and their varieties. Figure 3 plots the elasticities for the same three-digit industries, estimated for the first and the second globalisation. One prevalent assumption is that the elasticity for a given good is stable over time. The results show that this is not the case. There are industries that commanded a higher elasticity then but a stiffer demand now, and vice versa. Only a minority of industries experienced little change in demand elasticity. The same holds, even more strongly when going down to the product level. Of course, all this applies only to goods that were traded in both episodes of globalisation. Based on the estimated elasticities, I calculate the consumer gains from growing import variety for the ’first globalisation’. The welfare calculations are presented in Table 1. From 1907 to 1913, the welfare gain due to growing variety amounts to 0.2 percent of GDP to access the wider set of varieties available in 1913 rather than the set available in 1907. A century later it is only half of that, that is, 0.1 percent. The welfare results seem small at first sight, but because we are looking at estimates of the ’incremental’ gains from import variety (Feenstra, 2010), and only seven-year periods, these numbers are plausible. The results are consistent with previous findings based on similar research designs. Put differently, despite a much smaller set of goods and their varieties, Germany enjoyed twice as much welfare gains from newly imported varieties than it does today. This result is even more striking when considering that the level of protection ahead of World War I was much higher than it is today. This may reflect the fact that today many ’low hanging fruits’ in terms of variety have been harvested, which resonates with Bordo’s (2017) argument that the world economy’s pace of integration is slowing down or pausing, but not reversing. Table 1 also reports welfare calculations based on different elasticities of substitution. Column (2) reports the welfare when the period-specific median elasticity, i.e. 3.81 for 1907 to 1913 and 2.47 for 2007 to 2013 is used. The welfare gains would more than halve in both episodes in comparison to the benchmark results on welfare in column (1). Column (3) gives the welfare results when the median elasticities of the respective other period is used. For the 1907-1913 period, welfare is lower by a quarter. For the 2007-2013 period, welfare falls to fifth. Column (4) takes the good-specific elasticities from the respective other period. Welfare turns out to be a fifth of the benchmark results for both episodes. Columns (5) to (7) use various uniform elasticities traditionally used in the literature. Welfare would turn out even lower. The bottom line of these alternative welfare estimates is: Using ad hoc elasticities or a set of good-specific elasticities originating from data other than that the researcher would like to explain can be misleading. This is not only relevant for welfare analysis, but it also applies to analyses that rely on the elasticity of substitution as a parameter to evaluate the effects of changes in trade costs. Arkolakis, C., Costinot, A., and Rodríguez-Clare, A. (2012). New Trade Models, Same Old Gains? American Economic Review, 102 (1), 94–130. Armington, P. (1969). A Theory of Demand for Products Distinguished by Place of Production. International Monetary Fund Staff Papers, 16, 159–178. Bordo, M. D. (2017). 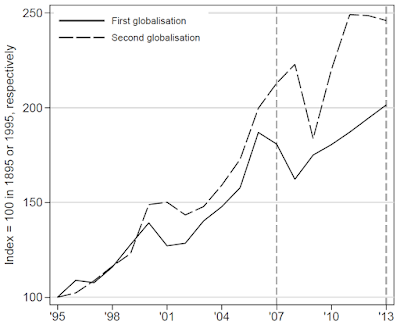 The Second Era of Globalization is Not Yet Over: An Historical Perspective. National Bureau of Economic Research Working Paper Series, Working Paper Nr. 23786. Broda, C. and Weinstein, D. (2006). Globalization and the Gains From Variety. Quarterly Journal of Economics, 121 (2), 541–585. Feenstra, R. C. (1994). New Product Varieties and the Measurement of International Prices. American Economic Review, 84 (1), 157–177. Feenstra, R. C. (2010). Product Variety and the Gains from International Trade. Cambridge, MA: MIT Press. Ferguson, N. (2016). Populism as a Backlash against Globalization: Historical Perspectives. Horizons, 4 (8), 12–21. Hausmann, R., Hwang, J., and Rodrik, D. (2007). What You Export Matters. Journal of Economic Growth, 12 (1), 1–25. Hungerland, W.-F. and Wolf, N. (2018). 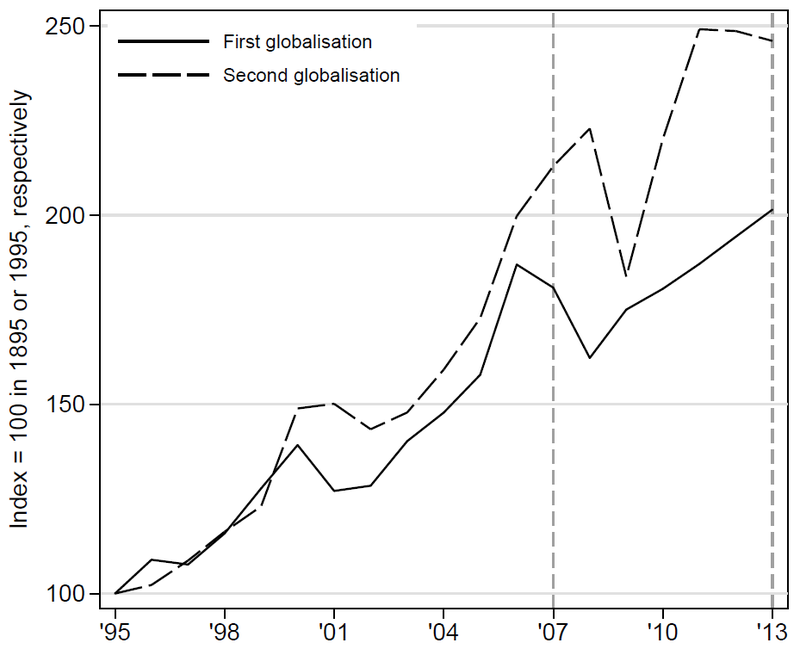 Globalisation Then and Now: New Evidence From Germany. Institute of Economic History, School of Business and Economics, Humboldt-University of Berlin, mimeo. Krugman, P. (1980). Scale Economies, Product Differentiation, and the Pattern of Trade. American Economic Review, 70 (5), 950–959. Ossa, R. (2015). Why Trade Matters After All. Journal of International Economics, 97 , 266–277. Schott, P. (2004). Across-product versus Within-product Specialization in International Trade. Quarterly Journal of Economics, 119 (2), 647–78. Soderbery, A. (2015). Estimating Import Supply and Demand Elasticities: Analysis and Implications. Journal of International Economics, 96 (1), 1–17.